Will is very helpful in helping people plan their estate. However, there are issues and properties that a will can’t include. First of all you can’t use will on property with joint tenancy. When you die, your share from this property will go to the co-owner who is still alive. Will provision can only be used if both you and your co-owner will die simultaneously. You also can’t use Will on a property that you placed on a living trust. Life insurance policy proceeds with a beneficiary that you already named. The proceeds from that policy can only go to the beneficiary you named. This is also the same as you pension plan, 401(K), and IRA. The money from these retirement funds can only go to the beneficiary you’ve named. Stocks and bonds you won that are held in beneficiary can only go to the beneficiary you’ve named. You can approach the brokerage company if you plan to change the name of your beneficiaries. The money you put in a bank account that is payable-on-death is not applicable for will. You can approach the bank to change the name of the beneficiary. Funeral instruction wills are usually read or found several days or weeks after you die. You should tell your executor where to find your will so that it can be used when you die. If you know that your property will owe federal estate taxes, there are steps you can take to lower the tax liabilities through different types of trusts. You can’t avoid these taxes with a Will. There are trusts you can make to lower or delay these tax bills. It would also be best to not put conditions when you leave a will, like “I will give the money when you get married.” Also, don’t leave a will for illegal purposes. If someone needs long-term help and you wish to leave long term support for that person, it would be best to use trust instead of a will. 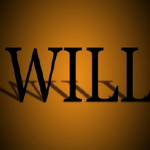 To take advantage of the power of will; it is best to consult and hire an attorney.